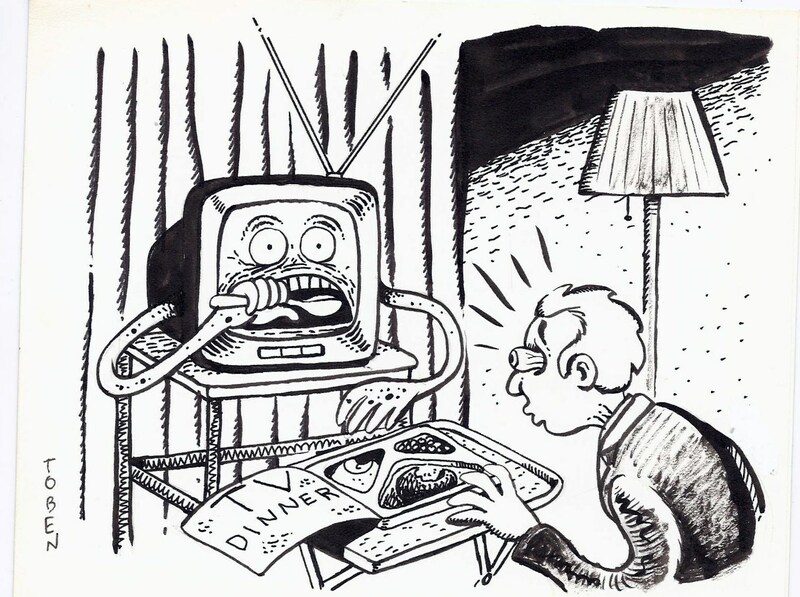 Bob sent me this comic from his archives and it reminded me of the small black and white TV I had in my room when I was a teenager. Like the TV in the comic, it had the same shape and the same antenna. Ah, the days when you did not need cable or a silly digital TV converter box. This comic also reminded me of the ZZ Top video for 'TV Dinners'. Remember that video?